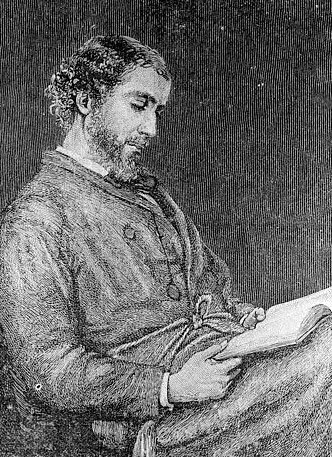 William Allingham (1824-1889) was an Irish poet whose work was best known for its lyrical phrasing, simplicity, and charm. Author of nearly a dozen books, he was a customs house official for most of his life, although he did obtain a position as a magazine editor late in life. William was a friend and fan of Alfred Lord Tennyson, as well the Brownings and Rosettis. William's work was respected and one poem in particular, "The Fairies," is widely known, but many critics feel this poet merits greater attention and recognition. An extraordinary, almost Zen, quality not usually associated with the time! Indeed, the concision creates a timeless simplicity. Lovely little poem in its simplicity.